AT THE New Town Theatre in George Street, some of Georgia’s finest actors are having a terrible time. First, thanks to administrative complications, they missed the deadline for a listing in the Fringe brochure, and were doomed to a 10am performance slot; then the set for their production of A Midsummer Night’s Dream was delayed at customs, reducing the show’s run from a week to two days. 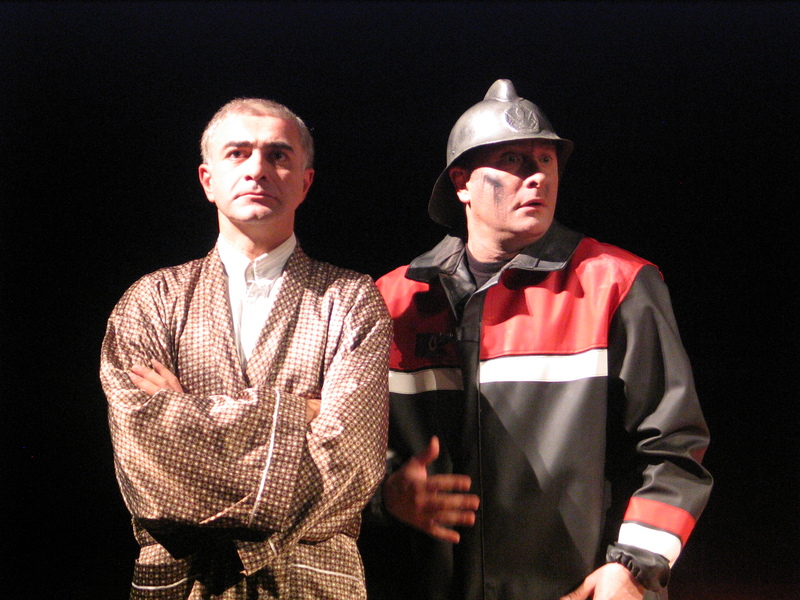 And in any case, they are performing in Georgian with subtitles, on a Fringe ever more obliviously anglophone. Yet despite all that, on a weekend morning in front of an audience of five, these magnificent actors gave one of the finest ensemble performances of the Fringe so far, in their glorious Georgian version of Ionesco’s absurdist masterpiece The Bald Soprano, first seen in Paris in 1950. Originally set in suburban London, Ionesco’s play describes a failed dinner party that makes Mike Leigh’s Abigail’s Party look like a piece of ordinary suburban naturalism. It features a host couple who talk incessantly about a neighbouring family who all have exactly the same name, a pair of visitors who fail to recognise one another on arrival despite the fact that they are happily married to each other, a sardonic maid called Mary who provides a bitter commentary, and a visiting fire chief with very odd priorities. 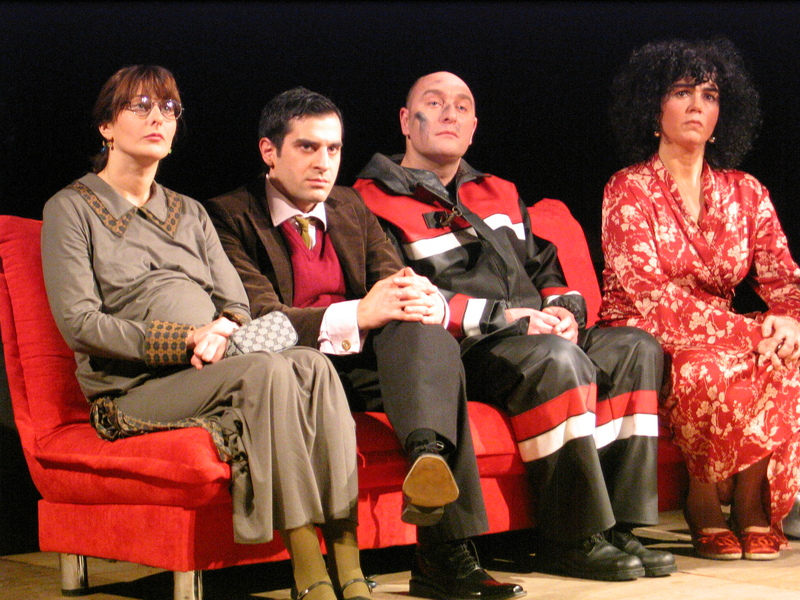 The genius of Zurab Getsadze production, though, is first to transfer the action to contemporary Georgia – with its equally scary hierarchies of wealth, influence and corruption – and then to avoid, at all costs, the classic mistake of imagining that Ionesco requires clown-like white-faced acting, and a grotesque performance style. 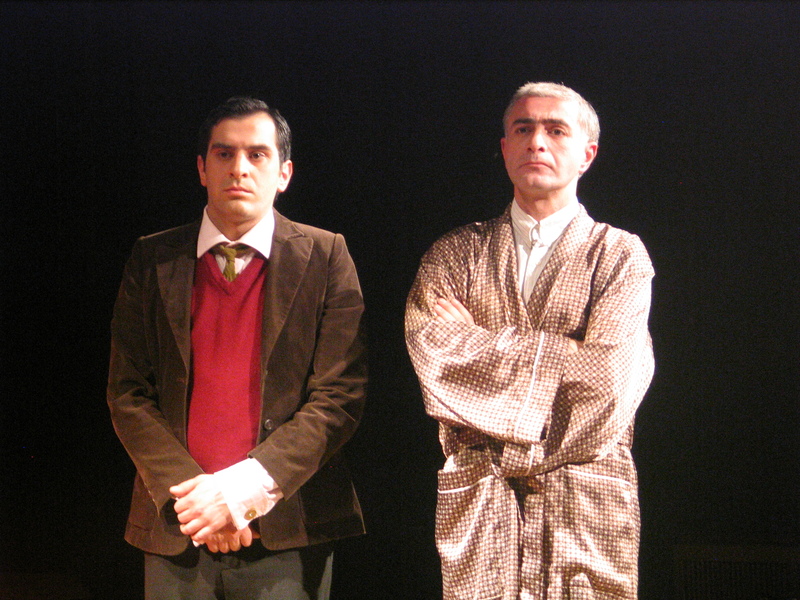 By filtering the dialogue through a slightly scaled-up version of ordinary sit-com acting, and allowing the lurid satirical poetry of the text to speak for itself, Getsadze and his company create a blissful 80 minutes of pure and hilarious comedy, full of political undertones and overtones which never overwhelm the action; and Nana Shonia, as the comely hostess, gives an extraordinary performance, ridiculous, subtle, aware and ironic, fully matched by a brilliant cast of adult players who know the uses of absurdism, and why – in a mad world – it’s a form that truly matters.